Online search is no longer a novelty, it is just a standard norm in our everyday lives. Any business, big or small, regardless of the industry should be online and maintain a web presence with everybody competing for the few positions available at the top of search engines. The larger companies are usually set with decades worth of content, quality in-bound links and constant traffic. They generally appear on top of search engine results when visitors search for products and services. Whatever the industry you are competing with there is always going to be a company that has been around for longer with a larger base of customers. So if you have limited resources and experience, how can you compete at the same level? As a small business, find your niche. Specialize in a niche that you are an expert in. You can also cover a variety of expertise, for instance, if you specialize in heating, you can also add plumbing, cooling, roofing and construction. It can be your own home improvement business. This will make your company appear on search engines for more than one query. However, specializing in just one niche will let you focus on a handful of keywords with a higher relevancy. This will give you a much stronger visibility. For instance, if you work in indoor plumbing, although your visibility will be limited you will rank for indoor plumbing when visitors type in the keywords. The strategy to engage in long tail keywords will accomplish the same goal. It is to promote maximum relevance over minimal relevance, large volume of keywords over a smaller volume of keywords. That is to gain maximum potential ranking, so you sacrifice the highly popular keywords. For example, over shorter keywords and phrases like toilet installation, you can use long tail keywords, tips to install a toilet in a downstairs bathroom. You can also beat the bigger names by optimizing locally. Local search is becoming popular and more important in today’s world, so capturing the local market will edge out your competitors in key areas. Get on local websites, directories and reviews to receive a huge boost. This is a great opportunity for small businesses to jump up in rankings. 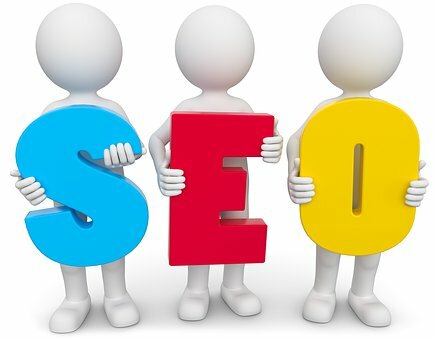 A SEO agency can cultivate an environment where customers provide positive and strong reviews for your business. Add a personal touch to your social media engagement. Humanize your brand and make it seem like you are genuinely interested in what your customers have to say. When you nurture your social media followers, it will attract more traffic.